Suffered A Burn Injury? Our Texas Attorneys Are Here to Fight for the Settlement You Deserve. 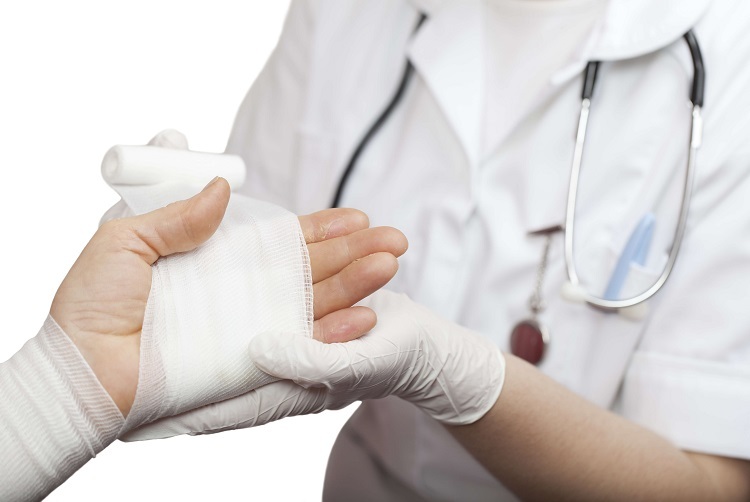 Suffering a burn injury in Euless can be a terrifying experience and can leave victims coping with long-term physical and psychological injuries, excruciating pain, and permanent scarring and disfigurement. In the most serious incidents, burn injuries can be fatal. If the burn injuries were caused by a business’ or individual’s negligence, the enormity of the tragedy can be magnified because the incident could have been prevented. At the Hart Law Firm, we understand the financial and emotional toll a serious burn injury will place on you and your family. We are committed to thoroughly investigating the cause of your burns and aggressively fighting to hold the negligent party liable for compensating you for your injuries. Call our office or start an online chat today to schedule a free consultation to learn how we have helped other clients obtain justice in these cases. The force of the impact in a car, truck, or motorcycle accident can cause the gas tank to rupture and explode. In addition, if a truck is carrying hazardous chemicals, the chemicals could cause burns or erupt in a fire if the negligent trucker causes a wreck. Electrical problems, lack of maintenance, and manufacturing defects are other reasons that tragic vehicle fires occur. When consumer goods, construction and manufacturing equipment, tools, and other products have manufacturing or design defects, this can cause the item to spark, overheat, or burst into flames and burn an unsuspecting victim. Products that use batteries and ignitable fuel sources are a common cause of a dangerous burn injuries. Many tragic and preventable fires occur in apartments, other rental properties, and hotels when electrical problems or other unsafe condition are not repaired by the business or property owner. Tragic fires can occur at workplaces, such as factories, chemical plants, and oil refineries, trapping innocent workers inside. If a victim works for a non-subscriber employer who has opted out of providing workers’ compensation benefits in Euless, he will need to prove his employer’s negligence to obtain the compensation he deserves. Cooks in fast food restaurants are also at risk of being seriously burned. Workers in factories, chemical plants, construction sites, and labs can be exposed to harmful chemicals that can cause burns through direct contact with the chemicals or fumes. Chemical burns can cause irritation and destruction of body tissues and require immediate medical treatment. When workers and other individuals come in contact with electrical currents or wires, they can suffer serious electrical burns that can cause tissue damage, cardiac arrest, seizures, and death. Burns can increase the risk that you will develop a bacterial infection or sepsis, a life-threatening infection that can travel throughout your body. Your blood vessels could be damaged, which can cause fluid loss and, in severe cases, prevent the heart from pumping sufficient blood through your body. Burns can cause the body temperature to drop dangerously low, which can result in hypothermia where the body is unable to produce enough heat to compensate for what has been lost. Face and neck burns can cause the throat to swell shut and interfere with breathing. In addition, your airways can be burned, which can cause respiratory problems, or smoke inhalation can damage the lungs or lead to respiratory failure. Burns can cause shortening and tightening of muscles, tendons, and skin that can pull joints out of position and permanently limit your movements. Did you or a family member suffer burn injuries due to another party’s negligence? Because of the catastrophic nature of your injuries, the insurance company for the negligent party will fight harder and longer to deny or reduce your claim. You need an experienced burn injury attorney at your side to fight for compensation for your medical treatments, lost wages, and pain and suffering. Our skilled and compassionate attorneys have years of experience helping burn injury victims fight to hold the negligent parties accountable for compensating them. To learn how we can assist you, contact us online or call our office directly at 817.380.4888 to schedule your free case evaluation. We help injured victims throughout Texas including Arlington, North Richland, Grapevine, Bedford, Hurst, Euless, Irving and all points in between.